This essay is organized chronologically and thematically to provide an introduction to the literature on the history of philanthropy in higher education. It focuses on pivotal moments and areas of particular interest. The chronological part begins by considering early writings on philanthropy—what can be called advocacy literature—and then discusses the pioneering academic writings that directly address the history of philanthropy in higher education. 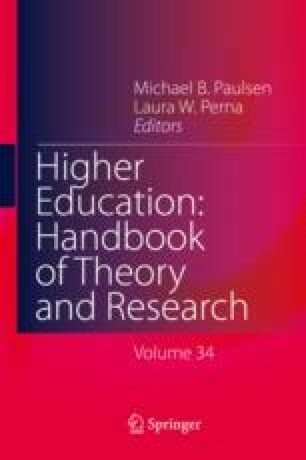 Because the relevant literature on the history of philanthropic action in higher education is dispersed across many genres, area studies, and institutional histories, the thematic sections of the essay focus on certain areas: insider accounts, foundations, biographies, black education, and histories of higher education. This essay characterizes the existing literature as “distinctively discontinuous” and calls for more sustained critical inquiry in all the areas of literature presented. In particular, given that foundations were the most powerful of philanthropies in the early development of the university in the United States, this essay calls for greater access to foundation records along with support for the study of foundation archives. Ayres, L. P. (1911/2007). Seven great foundations. With a new introduction by D.C. Hammack. Cambridge, MA: Hauser Center for Nonprofit Organizations, Harvard University. Accessed at https://ia801408.us.archive.org/21/items/Ayres_Seven_Great_Foundations_1911/Ayres_Seven_Great_Foundations_1911.pdf. (Original work published 1911). Hammack, D. C. (2007). Introduction to L. P. Ayres, L. P. seven great foundations. Cambridge, MA: Hauser Center for Nonprofit Organizations, Harvard University. Accessed at https://ia801408.us.archive.org/21/items/Ayres_Seven_Great_Foundations_1911/Ayres_Seven_Great_Foundations_1911.pdf (Original work published 1911). Hammack, D. C. (2015). Waves of historical interest in philanthropy and civil society. https://histphil.org/2015/06/24/waves-of-historical-interest-in-philanthropy-and-civil-society/. Accessed 21 June 2018.